I know some of you here are encountering problems with your Samsung Galaxy Tab S4. For unknown reasons, you have trouble with removing Google Account on your tablet, which caused you to be difficult to complete setting up it. 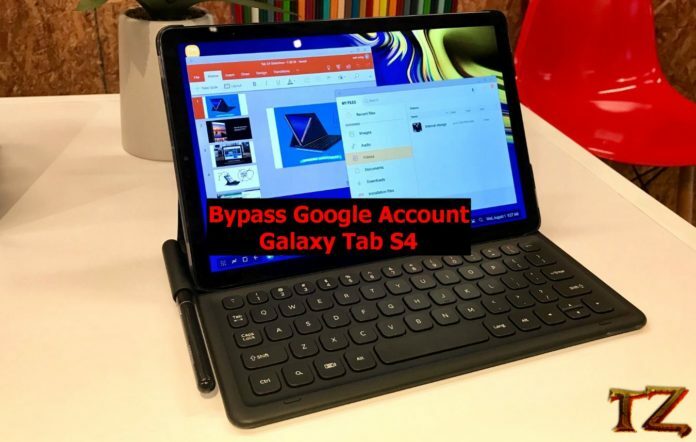 If you are looking for solutions to bypass Google account on your Galaxy Tab S4, then you are in the right place. Read on this post to remove Google Account on your Galaxy Tab S4. However, before getting started, you should prepare some things first so that the process can be successful. A USB C cable for the connection. Keep your tablet battery at 30% for the process. You can also use Samfirm v3.36 to download the stock firmware. Now, let’s start bypassing Google account on Samsung Galaxy Tab S4.